How can I add questionnaires to the client portal without automatically emailing each one to my client? 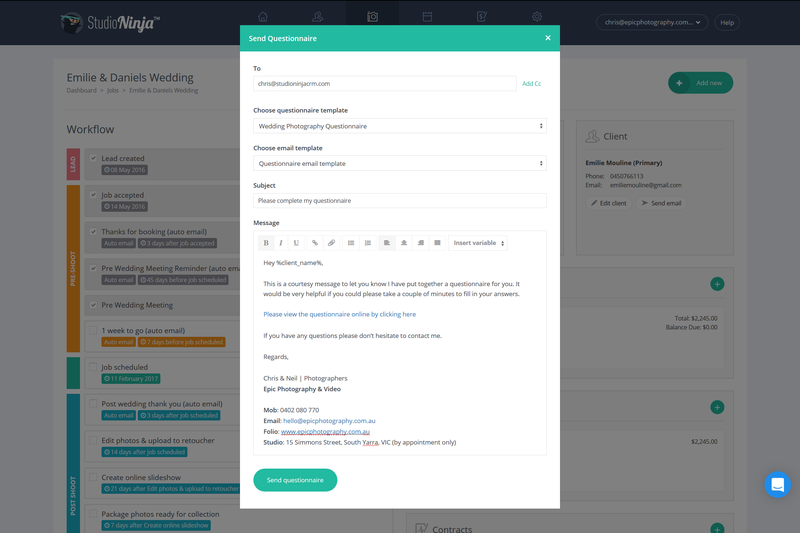 Studio Ninja was designed to create and send questionnaires at the same time. In a case where you would like to send your client 3 questionnaires, generally you would need to send your client 3 emails, but there is a work around! Go to the job profile page and click on the 'Add new questionnaire' button. The Send Questionnaire lightbox will appear. Choose the questionnaire that you would like to add to the client portal. Change the email address from your client's email to your own email and click the 'Send questionnaire' button. The questionnaire will be generated and added to the client portal. You will be receiving the questionnaire email, and you can safely ignore this. 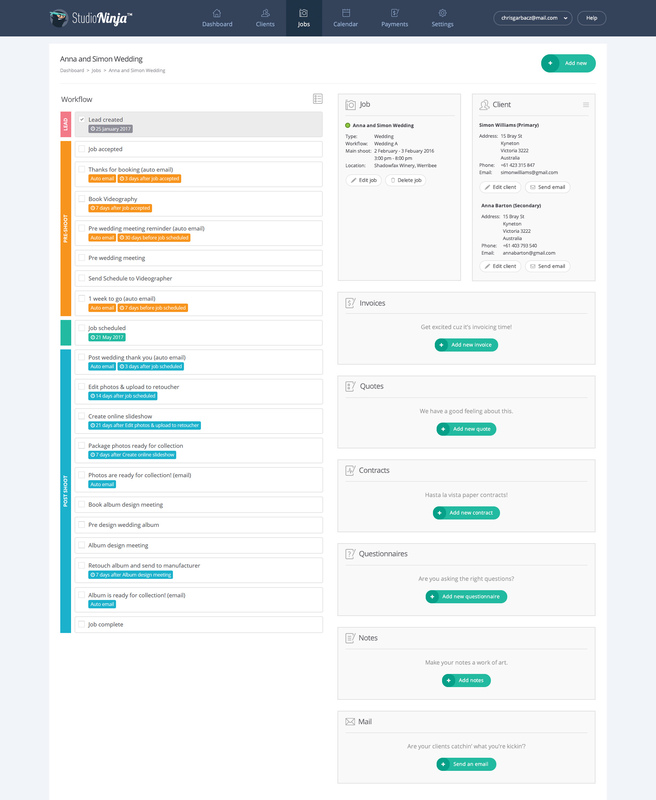 If you would like to add more questionnaires to their client portal, simply repeat the process. Alternatively, you could create one questionnaire with all the questions in it, as apposed to many smaller questionnaires.